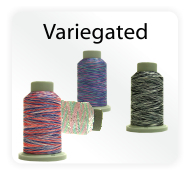 EnMart is proud to be the exclusive U.S. distributor of Iris™ brand commercial machine embroidery threads. 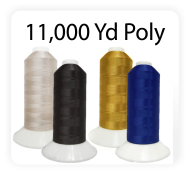 If you would like to learn more about Iris™ threads, you may read this article. 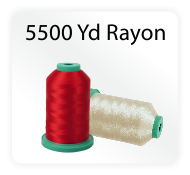 Iris Machine Embroidery Thread is made from top quality raw materials, many of which are manufactured in the United States. 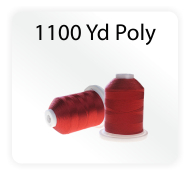 Iris Machine Embroidery Threads are known for their quality construction, strength, tenacity, ability to run smoothly in all major embroidery machines, and their brilliant sheen. 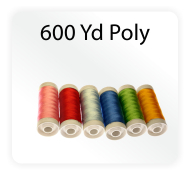 Whether you select Iris UltraBrite Polyester, Iris Smooth ‘n Silky Rayon or Iris Dazzling Metallics, you can be assured of great performance in your machine, whether it is a Melco, Barudan, Tajima, Brother, SWF, Janome, Bernina, or any other. 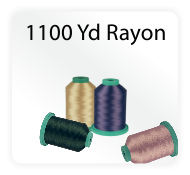 Our metallic embroidery thread is second to none, or so our customers tell us. 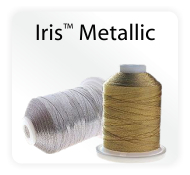 EnMart's Iris™ metallic embroidery threads are made with a nylon core wrapped by two metal filaments, which produces the strongest, smoothest running metallic thread available. 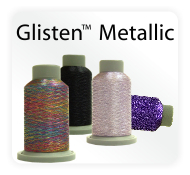 For additional colors, we are pleased to offer Glisten™ colored metallic embroidery and quilting threads by Fil-Tec Bobbin Central. 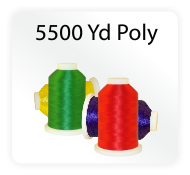 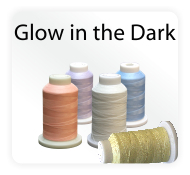 Also check out Affinity™ Polyester Variegated Embroidery & Quilting Thread by Fil-Tec Bobbin Central.